Speaking of disbelief, after a run-in with the Gargoyle King, Jughead (Cole Sprouse) rushes to Betty (Lili Reinhart) to recap what he saw. Apparently the Gargoyle King, like all good mysterious occult figures, has a group of followers in identical creepy masks who chant ritualistically at a fire. Because that’s what this town needs, another gang. They still believe that Warden Norton (William MacDonald) may be the Gargoyle King— that is until Betty’s mom (Mädchen Amick) breaks the bad news that he drank the Kool-Aid too. 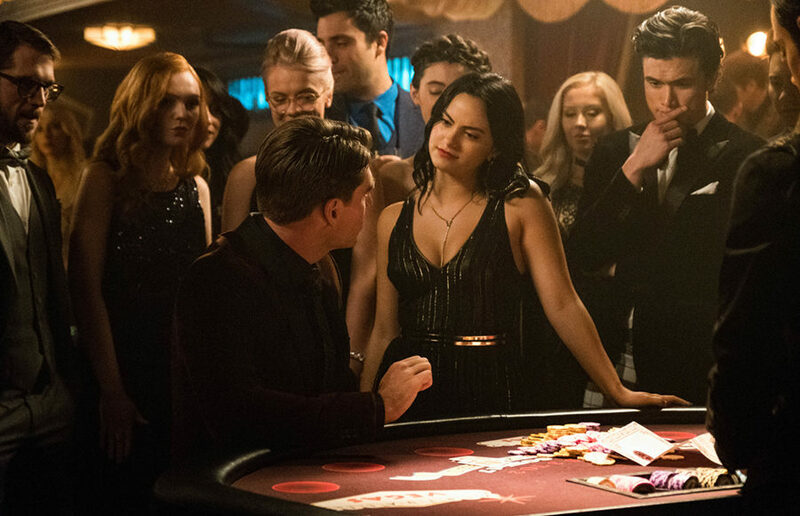 Meanwhile, Archie (KJ Apa) and Veronica (Camila Mendes) take a page from Betty and Jughead’s book and get cuddly in the late Dilton Doiley’s bunker. During the pillow talk that ensues, Archie explains he took the plea deal because he was tired of putting his loved ones through hell. As if being locked up in what seems to be the Guantanamo Bay of juvenile delinquent centers and being forced to participate in an underground minor fight club assuages everyone’s worries. Subtly, Betty gathers the Hot Parents of Riverdale™ and accuses them all of murdering Principal Featherhead. Penelope Blossom (Nathalie Boltt), whose Brontë-esque background no one seems to question, accuses Daryl Doiley of poisoning the chalices. Conveniently, Mr. Doiley committed suicide a few years back so he can’t defend himself. 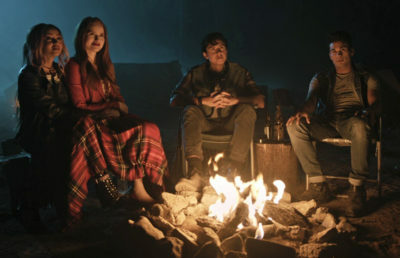 Everyone seems to be in a confrontational mood as Jughead and the Serpents track down Joaquin (Rob Raco) to answer some questions about the suspicious Warden and Gryffins and Gargoyles. Because this is only the sixth episode, Joaquin can only give a few vague answers about the game to maintain some level of mystery. Apparently, the Warden was using Joaquin, but the Warden was also taking instructions from someone else via cards. Additionally, the symbol burned into Archie means sacrifice. Unfortunately, that is the last we’ll see of this budget Jake Gyllenhaal, as Joaquin is killed after the Serpents leave, with the same “sacrifice” symbol carved into his head. This doesn’t stop confrontation-happy Jughead from going up to Hiram Lodge (Mark Consuelos), who at this point is sworn mortal enemy of everyone in Riverdale under the age of 17, in his office and accusing him of sending quest cards to Warden Norton and being the Gargoyle King. At this point, who hasn’t been accused of being the Gargoyle King? On the bright side, Kevin (Casey Cott) has an actual storyline this week. During Kevin’s shift at the bunker, Archie and Kevin realize Archie’s shiv wound is infected and they go to the jack-of-all-trades mortician to get it sewed up on the down-low. Archie seems to believe he’s invisible in his Marvel-inspired incognito disguise of a baseball cap and hoodie and refuses to go back into hiding. He convinces Kevin to go to the Shadow Lake mines with him to find the boys who accused him of murder, even though Veronica is already busy looking into Archie’s case files to find actual evidence. To her credit, Veronica is very deft at finding explicit evidence to free Archie. It takes her half a day to track down a clip of Sheriff Minetta (Henderson Wade) coercing a witness, something the Innocence Project, the DILF Squad and Mary-the-big-shot-Chicago-lawyer couldn’t do. Although this is mostly because the password on the computer she hacks into is her birthday. But Archie and Kevin don’t know about Veronica’s CSI-esque investigation because they’re in Fox Forest trying to reach the mines while avoiding Sheriff Minetta, who seems to also be trying to track down the coerced witnesses. It’s a race against time, one that Archie and Kevin lose once they find the boys in the mines with gunshots to the head. One boy is still alive, however, and Archie and Kevin rush him to the hospital. The boy dies, leaving Archie scarred about all the blood that is on his hands. Even though Veronica has somehow sped up the bureaucracy of the justice system to exculpate Archie the same day she found the evidence, Archie decides the best thing is to run away so he never hurts anyone again. He enlists Jughead’s help in getting supplies and decides to train-hop away from Riverdale. Oh Archie, you well-meaning but simple-minded redhead. Meanwhile, Betty has her own CSI investigation going on, which involves bribing the mortician for more information on Mr. Doiley’s death. It turns out that, while it looked like a suicide, Mr. Doiley actually died of oleander poisoning. The mortician explains, with an alarmingly nonchalant tone, that it was most likely a murder covered up as a suicide. With the very little evidence she has, Betty confronts Mr. Keller (Martin Cummins), who was sheriff at the time, of murdering Mr. Doiley and then covering it up. 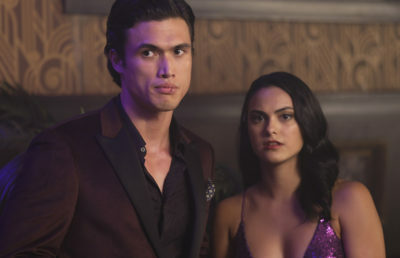 Mr. Keller admits to covering up the murder, but only to protect the Midnight Club, implying that only greenhouse-loving Penelope Blossom would have access to certain poisonous plants. Again, with very little evidence, Betty accuses Penelope of murdering Mr. Doiley. Obviously, a horticulture enthusiast such as herself wouldn’t use oleander because that leaves too much of a trace. Instead, Penelope throws suspicion on Alice, who wrote off Mr. Doiley’s death as a suicide in his obituary. 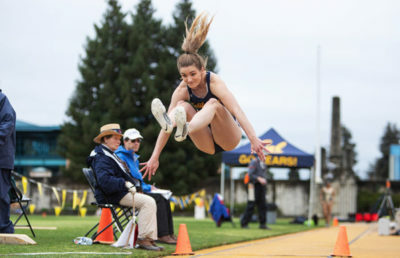 So of course, what does Betty do? She confronts her mom and accuses her of being a part of this murderous conspiracy theory. Before Alice can defend herself, the lights in the Cooper household turn off and the Gargoyle King himself makes an appearance. Worried about her family’s safety, Alice decides to move to the Farm with Polly and the twins. Knowing that Betty wouldn’t oblige, she decides the next best thing is to send Betty away to the Sisters of Quiet Mercy for her own safety. Even though it has been well established numerous times by most of the cast, that nothing good happens in that institution. 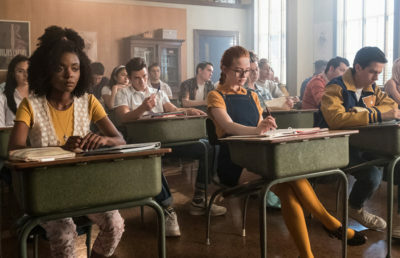 This is again established when Betty enters the classroom and every student is drawing some form of the Gargoyle King. But it’s fine, we’re sure Cheryl and her vigilante archery will be there next week to break her out. Julie Lim covers television. Contact her at [email protected].